This work accentuates the hazard of BANG! in an even more pressing manner. 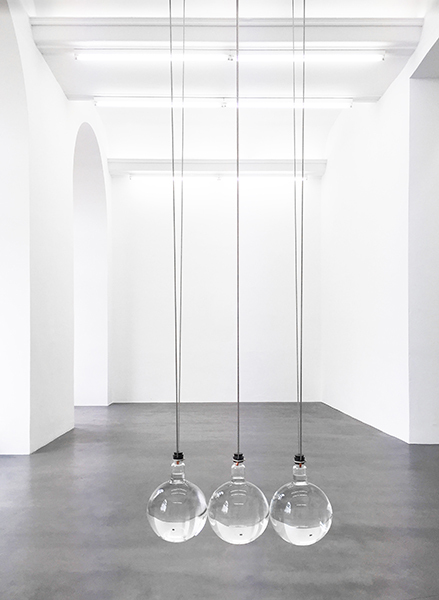 In this case, three glass balls filled with clear liquids are arranged like a Newton's cradle in its resting state. The details of the material details reveal that the liquids are the three components that form nitroglycerin, an explosive that detonates even with the slightest vibration. The viewer unavoidably begins to imagine the cradle swinging, generating thoughts on the consequences of such an explosion.